Scott Hardy is President of Top Class Actions LLC, the company behind TopClassActions.com. The site provides legal notices online. TopClassActions.com soon led to Legafi.com, an online service to connect consumers to lawsuits that they may not know about. Scott talks about the sites, why he selected a brandable name for his latest venture, and his strategy for pulling in visitors to the sites. Mike: Tell me a little bit about yourself and about Legafi.com. Scott: I’ve been in the tech world professionally since 1995. In 1995 I joined AOL. There I worked my way up from a Technical Support Rep to become an IT Manager responsible for three 35,000 square feet customer care and online development centers. I was there when we celebrated 100,000 members and the stock kept splitting and I was there when the stock had crashed to $15 a share. After AOL I took a year off and joined Nextel Partners, leading their strategic care and technical support teams prior to their acquisition by Sprint Nextel. After integrating Nextel Partners Strategic Care teams into Sprint Nextel my wife and I decided to move to Phoenix rather than relocate to Atlanta. It was during this time I came up with the idea that would become Top Class Actions. Two years ago I launched Top Class Actions as the replacement for traditional media’s legal notice. Those are the legal notices you see in USA Today and other newspapers. I thought to myself one day “there has to be a website which tracks easy to claim class action lawsuit settlements.” I found out there wasn’t so I created Top Class Actions. Now Top Class Actions is the first online business approved by a Federal Court to provide legal notice online. After listing the class notices on Top Class Actions we have doubled the number of legitimate claims for multiple settlements. During this time I found that consumers weren’t just coming to Top Class Actions to find out about existing class actions. They wanted to start their own lawsuits. That’s what created the need for Legafi. To satisfy the needs of the Courts, and maintain a neutral standing, Top Class Actions can’t be used to start new lawsuits. That’s one of the big reasons I launched Legafi.com. I did this to meet the needs of consumers that I couldn’t provide on TopClassActions.com. Mike: I see you are leveraging Google Adsense on the site. Are you hoping to monetize the site as the main source of income? Scott: Definitely not. AdSense is a great source of additional revenue but it could never be the main source of revenue for a single website or business. I could only see that happening if you were running a hundred websites. We sell advertising directly to attorneys, advertise lawsuits and settlements, and help consumers start new lawsuits. We don’t charge consumers a penny. We only charge attorneys. AdSense is around 10% or less of our total revenue. 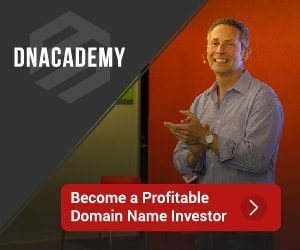 Scott: I own around 100 domain names now. These are almost all legal related. We also made sure to buy all of the misspellings we could think of for Top Class Actions and Legafi. We want to make sure that even if you mistype the domain you’ll come to us and not a domain squatter. Mike: You launched the site in July, are you willing to share your visitation statistics so far? Scott: Legafi had around 1,000 unique viewers in July. We’ll double that this month and continue to double month over month for some time. We haven’t spent a penny on advertising for the site yet. We have just linked it off TopClassActions.com (which averages 40,000 unique viewers/120,000 page views per month) and are going off of organic search traffic which is quite difficult with such a young website.